Peggy Orenstein’s Op-Ed on booby bracelets drew sharp comments from people with breast cancer, defenders of free speech, professional comment baiters and, of course, the people who make their living by peddling plastic gewgaws to the gullible public. We’ve commented on this before. 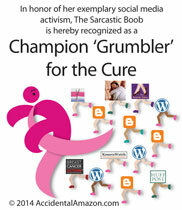 But we here at the I Hate Metastatic Breast Cancer Foundation have a saying: If You Can’t Beat ’em, Join ’em. 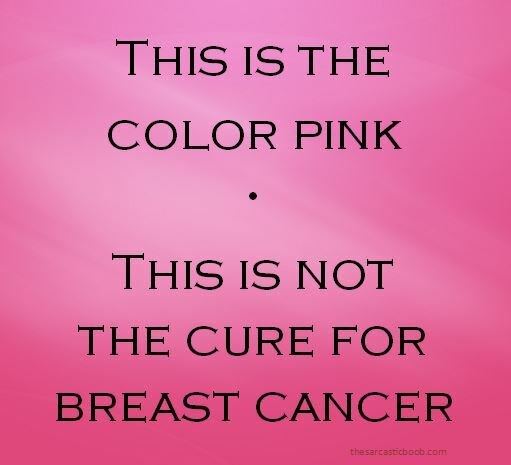 This entry was posted in Advocacy, My Stage IV Life and tagged advocacy, Attitude, bracelets, breast cancer, Humor, I Hate Breast Cancer, metastasis, metastatic breast cancer, Stage IV, stage iv breast cancer, vulnerability. Bookmark the permalink. “Would you like to sign my drain.” Awesome.